Weekly Idea – Why Do Board Members Give? We just completed a study for a major institution. Board members were asked (in a confidential survey) what was most important in prompting and motivating their gifts to the organization. The results will not surprise you. It’s pretty much the same in every Board assessment we do. It will almost certainly be the same in your organization. (2) confidence in your future vision were rated “important” and “very important” by everyone. Other high ratings had to do with the importance of the work and service (back to mission) of the institution.Items receiving the lowest marks will likely not surprise you either. There’s a lesson in this. It’s not only true of Board members— the same can be said of most of your major donors. They give because they believe in your work and service. They give because of your vision, your dreams, and the magic you perform.They give because they believe you are changing lives and saving lives. Entry filed under: Board Development, Fundraising, Resources You Can Use!, Volunteers. 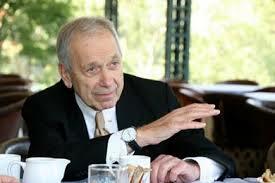 Tags: Board Development, Board fundraising, Institute for Giving, Jerry Panas, Nonprofit Board fundraising.